Lots of celebs have been seen with the Givenchy “Nightingale” hobo, but it seems it has become a HIlary Duff staple as of late. 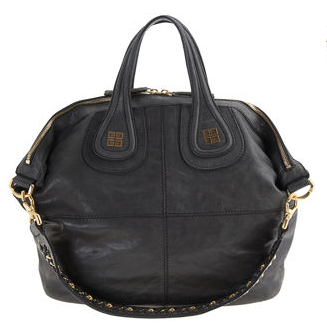 The recent Gossip Girl clad actress has been tugging the large Givenchy all around town making it look exclusively chic. You can find the Nightingale at Barney’s for a little over 2k… NOT recession friendly lol but O’ SO pretty. Previous PostZoe Saldana is an avatar of beauty.Next PostSarah Jessica is PINK hot.